Lighting Fixtures - Can Anyone Replace Them? Tired of looking at the ancient chandelier staring down at you from your ceiling? Do you want to upgrade your antiquated lighting fixture after finding them to be not-so-appealing? Replacing lighting fixtures are an integral part of any home improvement project. Many of us contemplate whether these electrical fixtures could be a do-it-yourself (DIY) project or if a licensed Atlanta electrical contractor should do the job. The correct size of the lighting fixture so that it is a proper fit and doesn’t come in contact with the cabinets or walls. Also, if you are replacing an existing fixture, you need to take into account the capacity of the present fixture and whether the new fixture will be adaptable to the existing wiring or other electrical parts that you are planning to use. Collect all the essential tools and materials needed to replace the lighting fixture so that you are not left high and dry once you commence with your work. Check that your tools are dry, clean, and free from rust, for good, working tools will make your job safer and easier. Switch off the main power supply before you begin the process of changing a light fixture, as this will prevent the chances of electrical shocks. Always replace lighting fixtures during the daytime, as you would have the advantage of adequate light when you are working with electrical wires that are not energized. Ensure that the area where you are attempting to replace the lighting fixture is dry and clutter free. You may have turned off the power supply, but if you are working with wet hands or there is moisture in the area where you are installing the lighting fixture, then the process becomes risky. Also, a wet area increases the chances of slipping when you are upgrading the fixtures. 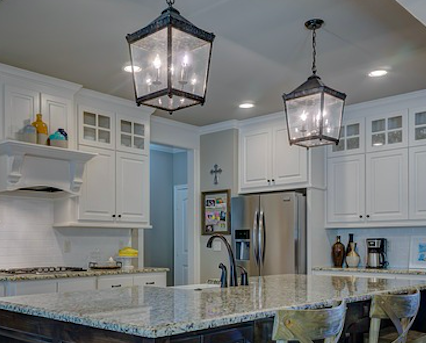 Keep these handy tips in mind when replacing lighting fixtures or hire an experienced Atlanta electrician who can help you complete this job easily and economically in the shortest possible time.